Inside: All Hail the Blob. Playdead’s Limbo inspired an entire sub-genre of atmospheric puzzler platformers. It’s one of the few games that many will finish in a single sitting; its succinct and engaging game play cementing you to your seat until it’s finished. It’s been quite a while since Limbo was released however and many have been eager for Playdead’s sophomore release. Inside was teased 2 years ago and, like all good hotly anticipated releases, was met with numerous delays before being released this year. Of course the release brings with it the question of whether or not Playdead can live up to their previous accomplishments and, perhaps, even exceed them. On first blush it would seem that Playdead was hoping to ride out much of the nostalgia and hype that they generated with their seminal title. Once again you find yourself in control of a lone, young boy making his way through a dark and dangerous wilderness. However where Limbo’s world was allegorical Inside’s is more literal, everything seeming fare more real than its predecessors did. You’re given just about as much instruction as you were in Limbo, leaving you to figure out what the controls are and how to interact with your environment. Once you’ve got that down you’re then left to explore this dark world and all the dangers that it contains. Inside utilises a muted colour palette with a highly stylized aesthetic reminiscent of games like Team Fortress 2. Where Limbo used their own custom engine to produce the trademark monochromatic visuals Inside instead uses Unity with a specially developed temporal anti-aliasing filter. This is what gives Inside it’s smoothed, cinematic quality that eliminates most of the jaggies that would otherwise be present. It also, as the developers point out, has a nice side-effect of giving everything a stochastic effect which adds that slight dreamlike quality. The resulting experience is quite honestly exceptional, bringing that Limbo-like effect to the modern day. Like its predecessor Inside is a puzzle platformer, pitting the young boy against a myriad of challenges which will require you to figure out how best to tackle them. None of the mechanics it uses are new or inventive however they’re all tied into the theme of Inside in some way. There will be much dying, retrying and going down dead ends to try and find the various secrets scattered throughout the game. Inside is very much of the ethos of “Show, don’t tell” with the game giving you clues and hints about what it wants you to do next. It’s also a linear experience with there being one and only way to progress to the next section. It’s simple and unoriginal but Playdead made their name in defining this sub-genre and the quality of craftsmanship in all aspects of the game belies its mechanical simplicity. What Limbo and Inside both do exceptionally well is inspire feelings in the player. There are numerous moments in Inside that inspire sheer terror or that horrible sense of foreboding should you step one foot out of place. As someone who’s typically not a fan of horror or its sub-genres it was genuinely refreshing to see this done right. This, coupled with the drip feed of information about the world that’s given to you, gives you a driving sense that this is all building to something but you can’t be sure what it is. Then comes what I think is the game’s pinnacle moment and what cements it as another brilliant title from Playdead. The moment is, of course, when you transition from the scared boy to the blob. The entire premise of the game up until that point is you existing in a world that is hunting you, one that you should be afraid of. That all changes when you become the blob, the world now fears you, and what you might do to it. Instead of the world and its people fighting you they assist you (for the most part), trying to ensure their own survival just like you were before. The fear and tension is gone, replaced by a kind of excitement. You are now in control, even if that means you’re a strange amalgam of body parts that moan in the most horrendous way whenever you move. Which leads us to the story. I’m firmly in the camp of the boy being controlled directly by the blob, sent on a direct mission to free it from its prison. Of course how you interpret either ending is up to you, that’s the beauty of how the story is told, but that’s the only explanation I’ve seen thus far that fits well with the events as they unfolded. Regardless of what explanation you take as true it’s hard not to appreciate the final ironic climax, the purpose of Inside being only to get outside. Inside’s story is definitely an intellectual rather than an emotional one. Inside has done what many would think would be impossible: improve on the formula set by a classic and bring it into the modern age. The aesthetic retains that same Limbo-esque feeling whilst modernising it significantly, likely setting the precedent that many games will follow for years to come. The gameplay, whilst standard affair for the genre, is well polished and all done in aid of telling the story. The overall narrative, shown to you rather than told, is certain to keep people talking about it for years to come, the ultimate meaning hidden behind many clues, red herrings and good old fashioned speculation. Inside is a game that is thoroughly worth the time to play and, if you can manage it, in a single session on a lazy Sunday afternoon. Inside is available on PC, Xbox One and PlayStation 4 right now for $19.99 on all platforms. Game was played on the PC with 2.9 hours of total play time with 29% of the achievements unlocked. Feist: The Tragic Tale of the Silhouetted Spikey. Sometimes a game is responsible for the creation of a new genre. The most often reference example of this is the MOBA genre, one that was spawned out of the DOTA mod for Warcraft III, but there have been numerous other examples before and after it. One often less talked about example is Limbo as it spurred on so many titles in a similar vein that I think they bear classification under the same banner. Feist is one such game, using the same silhouetted aesthetic and platform mechanics to produce a short but eminently sweet title that’s been a long time coming. You are a small little ball of fuzz in a giant forest, one that’s filled with many other fuzzy creatures. Many of these creatures are much bigger than you and, unfortunately, this has led to you and your mate’s capture. You are left to rot in a cage hanging from a tree, the big fuzzies wandering off into the distance with your mate in tow. They’ve underestimated you however as you quickly manage to escape from your prison and begin your pursuit, hunting the big fuzzies down one by one. It’s not going to be easy though as this forest is riddled with traps and creatures that are out to make a meal of you…or worse. Drawing the comparison to Limbo is easy because, well, compared side by side you’d be forgiven for thinking they were made by the same developer (or at least, the same artist). The minimalistic visuals, mostly done in silhouettes, with the white pinpoints for eyes piercing through the darkness are a trademark of these kinds of atmospheric platformers. Since platformers live and die by you being able to distinguish what you can and can’t jump on this visual style can be a little frustrating however after a while you get good at figuring out what you will and won’t collide with. This visual style is accompanied by some quite incredible music, something which I’ve really come to appreciate in titles like this. Feist is a 2D platformer with the main gameplay mechanic being your never ending quest to get from the left of the screen to the right. Whilst there’s only a few minor hints to guide you along at the start the controls will likely be familiar to you, allowing you to run, jump and interact with various objects that are scattered around. Unlike previous titles however Feist relies more on emergent gameplay than scripted events, meaning that it’s quite likely that your solution to the problem isn’t the only one available.Indeed many of the achievements encourage you to engage in behaviour that’s born out of this style of gameplay, something which you don’t usually see in games of this type. Overall whilst it’s not revolutionary in terms of mechanics or style Feist does manage to carve out its own little niche, one that it’s quite comfortable in. One of the more interesting things Feist does that others don’t is combat. Much of the emergent gameplay comes from you doing battle with the various enemies that you’ll come across and how they interact with each other. Many of the enemies can’t be fought head on instead you have to lure them into traps, use the environment to crush them or, and this is great, use other enemies to fight them for you.This leads to all sorts of interesting behaviours with enemies sometimes running amok amongst each other whilst you just quietly go about your business. Other times it’s a fierce battle between you and a single enemy, testing your rock throwing prowess and stick weilding skills. As with any physics based game though there are quirks that make themselves known from time to time, usually in the form of your character dying or getting flung off screen because of some strange interaction. Most of the time this comes in the form of getting crushed by something even though you weren’t fully under it, like when you’re next to a boulder and you get crushed even though you weren’t fully under it. For the most part this seems like a design decision, erring more towards the unforgiving side, however it can be frustrating when you get crushed by a log that only one of your little spines seemed to be touching. Apart from that Feist, which uses the Unity engine, runs absolutely brilliantly without nary a hiccup or crash to be seen. Feist’s story comes without a hint of dialogue, told entirely through small cutscenes that happen between levels. As such there’s really not a whole lot of depth to it, in fact unless you read the achievements you wouldn’t really know what your ultimate goal was. Still since this is a game that is priding itself more on the atmosphere and physics based gameplay it’s hard to fault it for a lack of story development. This is also why its short play time, on the order of 2 hours or so, isn’t so much of a negative either as the story really didn’t need much more time to develop. Feist may take inspiration from from other games in its genre but it manages to define it’s own space; one that’s filled with emergent gameplay, gorgeous visuals and a superb soundtrack. The combat mechanics and platforming combine together to make for a game that’s challenging enough for gamers like me but approachable enough that a wider audience won’t be turned away. It’s short timeframe and rudimentary story might be a turn off for some but it helps to make Feist a short and succinct experience that doesn’t overstay its welcome. Whilst Feist might not spawn a genre of its own like its predecessors did it does manage to create a great experience none the less. Feist is available on PC right now for $14.99. Total play time was approximately 2 hours with 30% of the achievements unlocked. 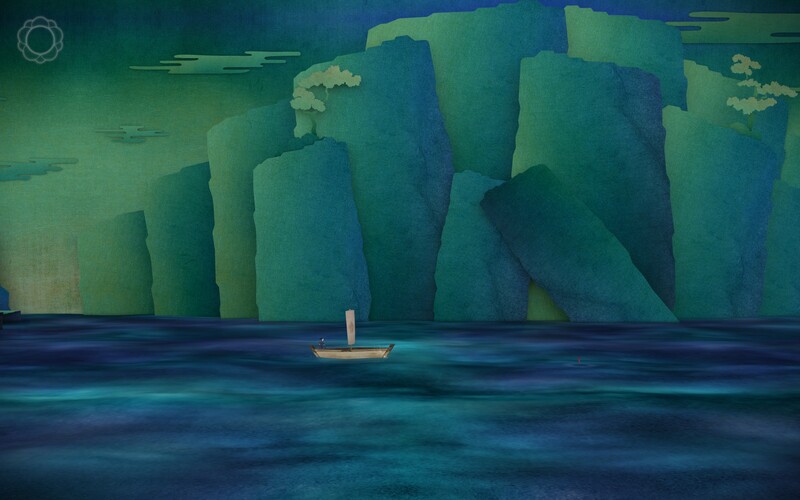 Tengami: A Fold Between Worlds. Games aspire to be many things but rarely do they aspire to emulate another medium, especially a physical one. The burgeoning genre of cinematic style games and walking simulators have their visions set towards emulating the medium of film but past that the examples are few and far between. You can then imagine my intrigue when I first saw Tengami, a game that seeks to emulate a pop-up book, lavishly styled to look like it was set within feudal Japan. It’s an ambitious idea, one that could easily go south if implemented incorrectly, but I’m happy to report that the whole experience is quite exceptional especially when it comes to the sound design and music. Tengami is probably the first game in a long time where I can’t sum up the opening plot in a single paragraph as whilst there’s some skerricks of story hidden within the short poems between scenes there’s really not a lot in them. 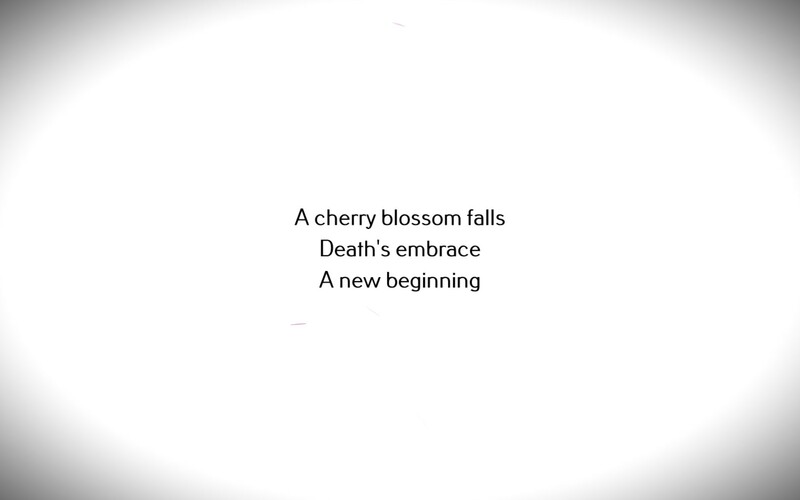 As far as I can tell you’re searching for the blossoms to restore your cherry tree back to life although what your motivation for doing so isn’t exactly clear. Still the environments provide enough atmosphere and presence to give you a kind of motivation to move forward, if only to see more of the paper-laden world you’ve found yourself in. The art style of Tengami really is its standout feature, done in pop-up book style using real paper textures that the devs scanned in. Initially it had a bit of a LittleBigPlanet feel to it, with the real world textures and 2D movement in a 3D world thing going, however it quickly moves away from that and firmly establishes its unique feel. All of the environments look and feel like they’re straight out of a pop up book, complete with the stretching and crumpling noises when you move various elements around. Tengami is simply a joy to look at and fiddle with, evoking that same sort of feeling you got when playing around with one as a kid. Coming in at a very close second is the original soundtrack done for Tengami by David Wise. The music seems to swell and abate at just the right times and the score is just incredible. I’m more than willing to admit that my love of the soundtrack might stem from my interest in all things Japanese but looking around at other reviews shows that I’m not the only one who thoroughly enjoyed it. I’m not sure if he was in charge of the foley as well since the soothing sounds of waterfalls, the ocean or just the breeze on quieter sections was just beautiful. If you’re playing Tengami on a mobile device I would wholeheartedly recommend you do so with a pair of headphones as otherwise you’d really be missing out. 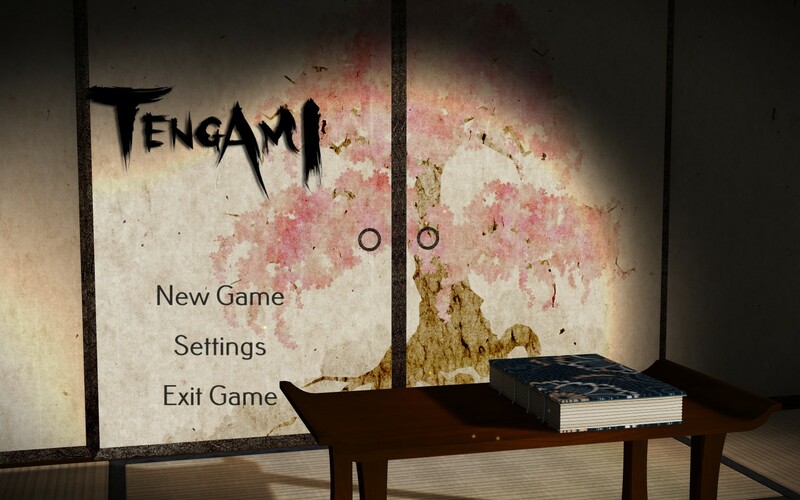 With all that focus on the art and sound it would be somewhat forgivable if Tengami was a little light on in the mechanics department but thanks to its unique pop-up book style it’s actually quite an innovative little title. As you make your way through the world you’ll encounter parts which can be folded in and out of existence, between two planes or between different states. It’s like a pop-up book that’s able to exist in a higher dimension, able to shift elements in and out as it pleases. It’s quite intuitive and for the most part you’ll be able to quickly figure out what you need to do or, at least, stumble your way through by trying every option. The puzzles are pretty straightforward, often only a couple slides or folds away from being completed. The challenge ramps up gradually as you progress through every scene and towards the end they actually start to become quite challenging. However the one fault here is that new mechanics aren’t introduced in a logical fashion and, if you’re like me and know a little Japanese, you can find yourself trying to solve a puzzle in completely the wrong way. The hint system (and the full official walkthrough) are enough to make sure that you won’t be stuck at these for too long but it’s still a mistake that a lot of these minimalist type games make. 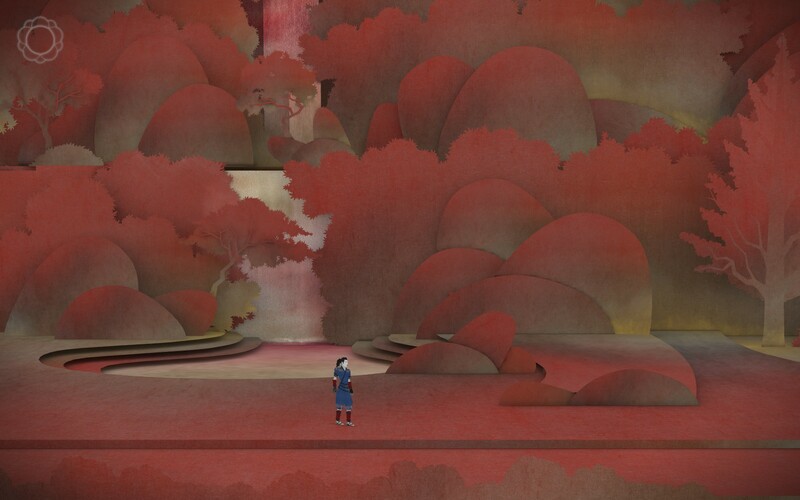 The only drawback to Tengami’s incredible design and polish seems to be its length as the game is incredibly short, clocking in at just over an hour and a half for my playthrough. This is not to say that I would’ve preferred for them to cut corners on other things in order to extend the play time, far from it, more that the focus is on quality rather than quantity. For some this can be a turn off, especially when you consider the current asking price, but for me the price admission was well worth the short time I got to spend with it. Tengami is a beautifully crafted experience, recreating that tactile feel of a pop-up book in a new medium and elevating it with impressive visuals and an incredible soundscape. It’s a short and succinct experience, choosing to not overstay its welcome in favour of providing a far more highly polished experience. As a game it’s quite simple, and suffers a little due to its minimalist practices, but overall it’s a great experience one I’m sure multitudes of players will enjoy. Tengami is available on PC, iOS and WiiU right now for $9.99, $6.49 and $9.99 respectively. Game was played on the PC with 1.5 hours of total playtime and 100% of the achievements unlocked.